In my first year at Smith, I invited every member of the faculty to dinner, in groups of twenty, to hear about their aspirations for the college and for themselves. Every one of the conversations turned to teaching. I feel certain that a similar set of dinners at a research university would not have yielded the same result. In my years at Smith, I have been deeply impressed by the way in which serious focus on effective pedagogy permeates college culture. Faculty care deeply about teaching and learning, and devote much time, as individuals and as a community, to improving their craft. Indeed, teaching is both a craft and a discipline. Often people assume that excellent teaching is a matter of personality, character, or charisma. Although these are not irrelevant, as in any profession centering on human interaction, emphasis upon them leads to a mystique that obscures the systematic knowledge that has been developed about pedagogy. Three years ago, motivated by the desire to provide faculty a richer and more systematic set of opportunities to learn about the scholarship of teaching and learning and to incorporate that knowledge into their teaching, a group of faculty leaders proposed establishing a teaching and learning center at Smith (or TLC, as it was initially called). A generous bequest from Jay Sherrerd (who, with his wife, Kathleen Compton Sherrerd ’54, had earlier made a gift to fund Smith’s distinguished teaching prizes) enabled us to establish the center, now called the Sherrerd Center for Teaching and Learning. Through a program of “teaching arts lunches,” workshops, and seminars, the Sherrerd Center encourages a continuing conversation among faculty about how people learn and about our learning goals for our students. It offers support ranging from nuts-and-bolts assistance in teaching techniques to opportunities for learning about innovations in technology, about diversity in the classroom, and about the scholarship of teaching and learning. In the knowledge economy of the twenty-first century, such understanding is essential for our teachers, at every level. Smith is fortunate to have among its faculty a number of professors who have made the science of teaching and learning a focus of their research. It is the central enterprise of the Department of Education and Child Study, which has close connections not only to the Campus School but also to K–12 programs in Northampton and Springfield. But the scholarship of teaching at Smith extends far beyond the education department. This past fall, for the first time in its history, the Royal Statistics Society selected a paper on improving statistics education for presentation at its annual meeting; one of its authors, Nicholas Horton, is a Smith professor (and a winner of the Sherrerd Teaching Prize). The Picker Engineering Program has attracted national attention for its innovations in pedagogy. In 2007 Professor Glenn Ellis, also a Sherrerd prize winner, was named U.S. Professor of the Year by the Carnegie Foundation for the Advancement of Teaching and the Council for the Advancement and Support of Education for his leadership in engineering education. Informed by the learning sciences, Ellis and his colleagues are developing and refining a curriculum that emphasizes deep and broad thinking, project-based learning, and the role of engineering in addressing human needs. They are committed to a “knowledge-building” approach, in which students not only acquire information but actively extend and transform what they know. This innovative vision of engineering pedagogy has many similarities to residential liberal arts education. At a time when the liberal arts are increasingly under attack for not providing vocational training, we should bear in mind the powerful way in which they develop students’ capacities for professional success and leadership. 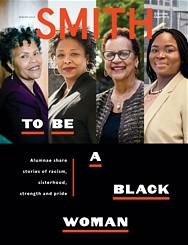 I would like to think Smith’s focus on teaching—which is not necessarily new but sustained and continually renewed— has inspired the many remarkable educators among our alumnae, whether or not they ever took a course with an explicit focus on pedagogy. Smith graduates from a range of majors have an outstanding acceptance rate to the highly competitive Teach for America program, which places teachers in under-resourced urban and rural schools. Among our alumnae honored recently with the Smith Medal are internationally recognized early childhood specialist Lella Gandini AC ’78; textbook innovator Joy Hakim ’51; visionary public school leader Roberta Schenker Kurlantzick ’65; adult education advocate Irene Cebula Baird ’45; and legendary mathematics professor and mentor T. Christine Stevens ’70. In the 2011 State of the Union address, President Obama reminded us that, after parents, “the biggest impact on a child’s success comes from the man or woman at the front of the classroom.” Whether at the elementary, secondary or postsecondary level, effective, transformative teachers are a scarce and vital resource. 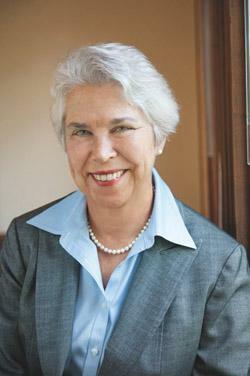 I am proud of the many ways in which Smith and its alumnae are stepping forward to meet this urgent need.